FiveBox Polarized U.V Protection Sports Glasses ,Cycling Wrap Sunglasses Goggle with 5 Interchangeable Lenses Unbreakable for Riding Driving Fishing Running Golf And All Outdoor Activities With Retail Package-Black And White. 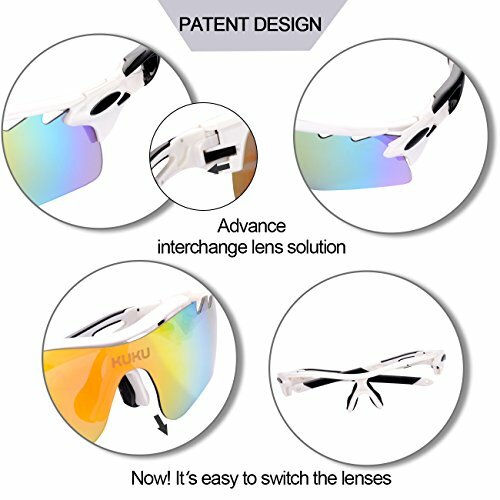 Lens Made of Shatterproof Unbreakable PC Material are Durable Enough for Long Time Using. 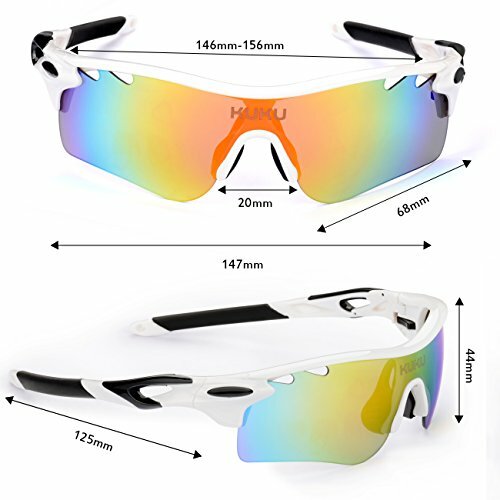 With soft and elastic belt-Can change to the Elastic Sport Belt,Inner frame for shortsighted lenses. 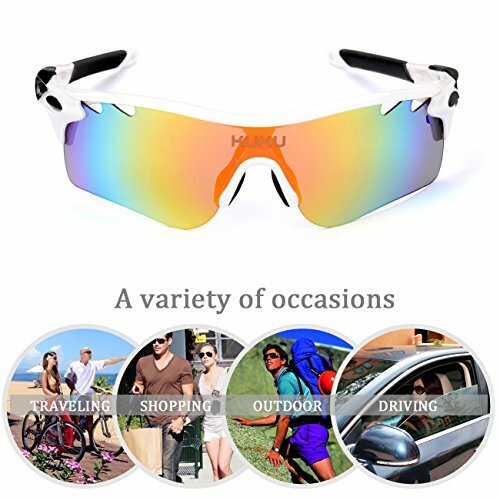 Shatterproof Lens:The Main Black lens is Polarized Lenses Against Strong Sunlight, the Other 4 Lens are Colored Sunglasses for Different Environmental Condition. 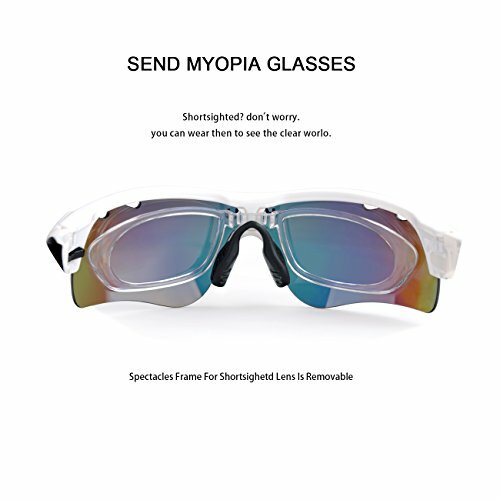 With Spare Rimmed Soft Rubber Pad:Lightweight and comfortable for prolonged wearing. 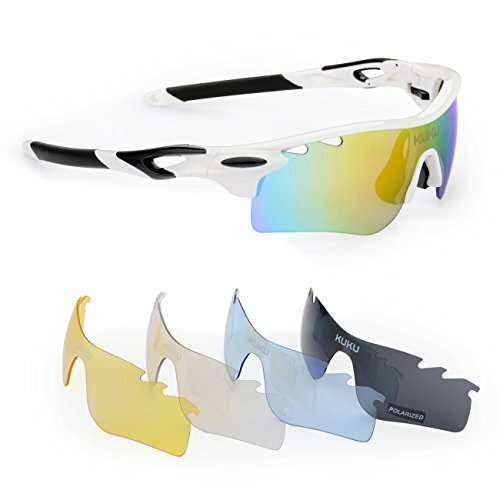 Support Wear together with your own eyeglass. 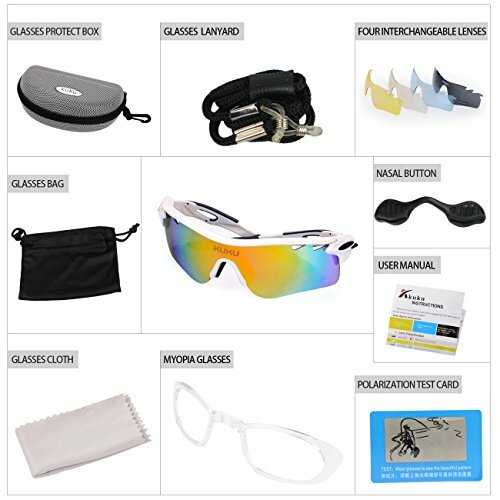 Come with hard protection box, can defend your Sunglasses from wind and dust perfectly,easy and convenient to carry and install.